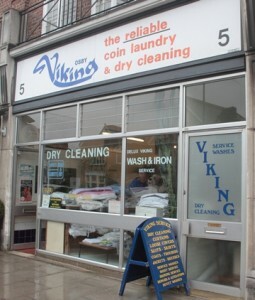 If you are looking for the longest-serving trader in East Sheen, the record of Mary Malewicz, who runs Viking Laundry, is spotless. She has been keeping the community clean for an amazing 42 years! She moved down from the Midlands, where she worked at Rugby School, and bought the business from her brother in 1972. Since then as well as running the laundry single-handed she has brought up her three children and put them all through school and university. Justly proud of this achievement, Polish-born Mary still works as hard as ever and has no immediate plans for retirement even though she has reached an age when she could be taking life a bit easier. “Though business is hard now because people have no money following the recession, I love to see my customers many of whom have been with me for decades,” she says. 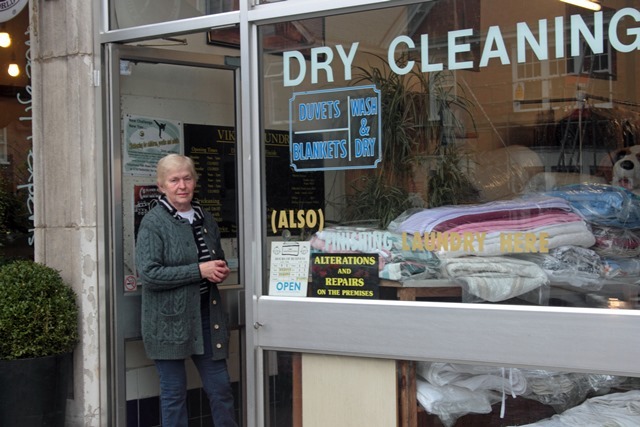 Mary has seen many changes along the Upper Richmond Road where her business is located, not least in her laundry. Originally she had 13 washing machines and eight dryers and the public came in to do their washing themselves. But a disasterous burglary in which all the machines were ruined after the raiders smashed them open to get at the cash inside led her to make radical changes. “ I no longer wanted strangers in my premises so I decided to do all the washing myself,” she recalled. She installed two huge washing machines, with two dryers, and a large dry-cleaning machine. She also has an ironing machine for large items like sheets and curtains, but everything else like shirts she still does by hand. “Luckily I like ironing. I always did,” she says with a smile. Her laundry is usually crowded with piles of freshly washed items waiting to be collected and unusually on the day we called a giant soft toy St Bernard dog, now spotless after a session in the washing machine, was perched on top awaiting its owner. Other items accidentally left inside their dirty washing by locals over the years include passports, credit cards, and once a £900 diamond ring. “We had a terrible job recovering the ring and had to take the back off the machine to get it,” she said. Her cheerfulness belies the fact that Mary nearly did not make it to England at all. Her family were deported to Siberia during the Second World War, but escaped and made it overland to Persia. Her father joined the British Army and Mary was evacuated to Africa until the fighting ended. They were re-united after the war and lived for a time in Wales. “Life was really hard then,” she recalls. Now her children are clearly her pride and joy. 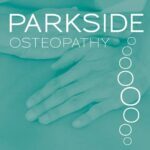 Her daughter Zofia, who is head of sixth form at Battle Abbey School, Sussex, won a world kickboxing championship title in Spain in 2010, while her sons are Richard, a geography teacher who also writes children’s boks, and Frank, who works in the oil business. 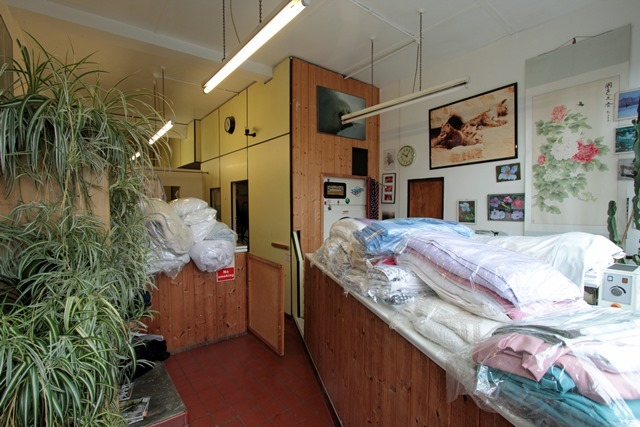 Striking wildlife photos which decorate the walls of the laundry were taken by Zofia during her travels abroad. Mary charges £8 for a 12lb service wash, £9 for 15lbs, and £25 for 12lbs of dry cleaning. She also offers Deluxe Services.